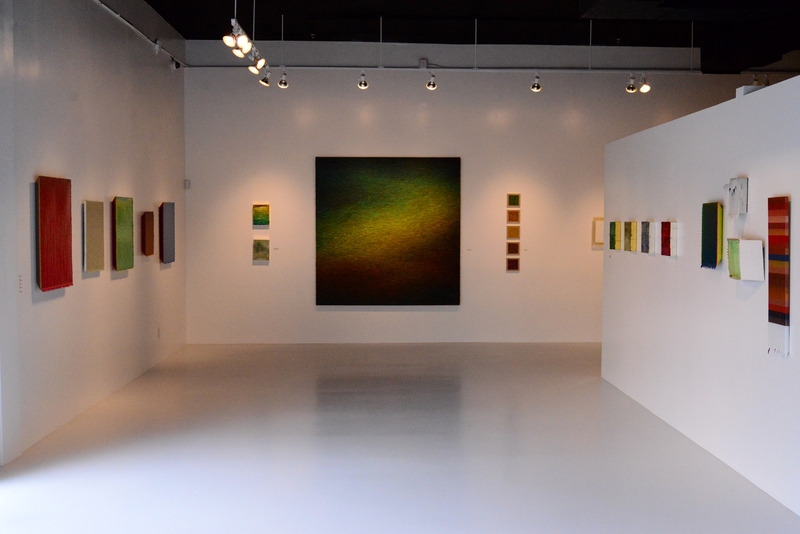 “Color Meditation” — at Cinnabar Gallery through February 8th — was a great way to kick-off 2014. We had spent the first week of the new year lying low after the holidays, the inertia of being still in our warm cocoon so satisfying. We had missed the December opening in the hubbub of the season, so Susan’s invitation to come take a look at the latest show was a welcome breath of fresh air. 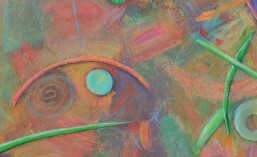 This show features the works of Joseph Cohen and Lawrence Fodor. Both are gifted colorists. 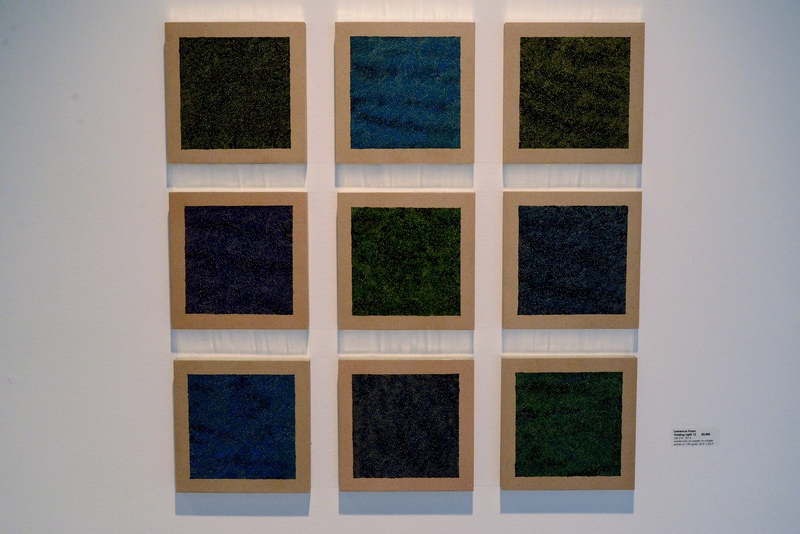 And yes, these works are meditative. 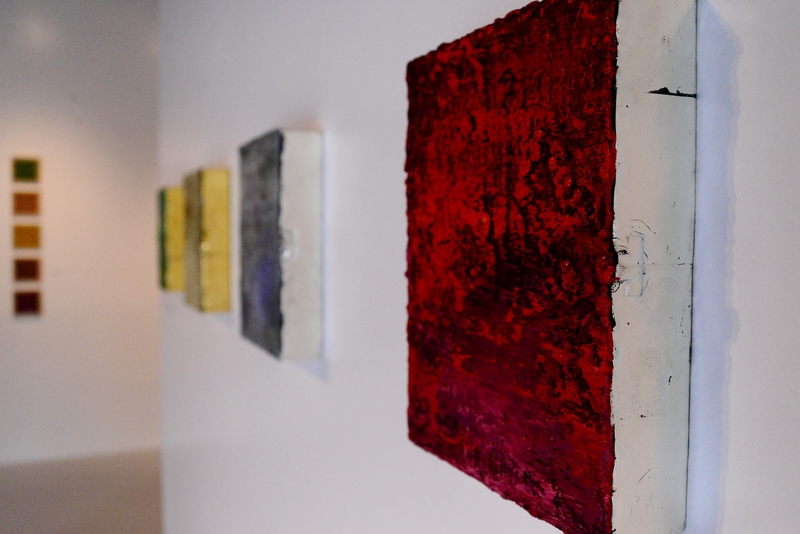 The works are quiet and solid, beckoning at a distance that you come closer, each artist achieving radiance in his own way. 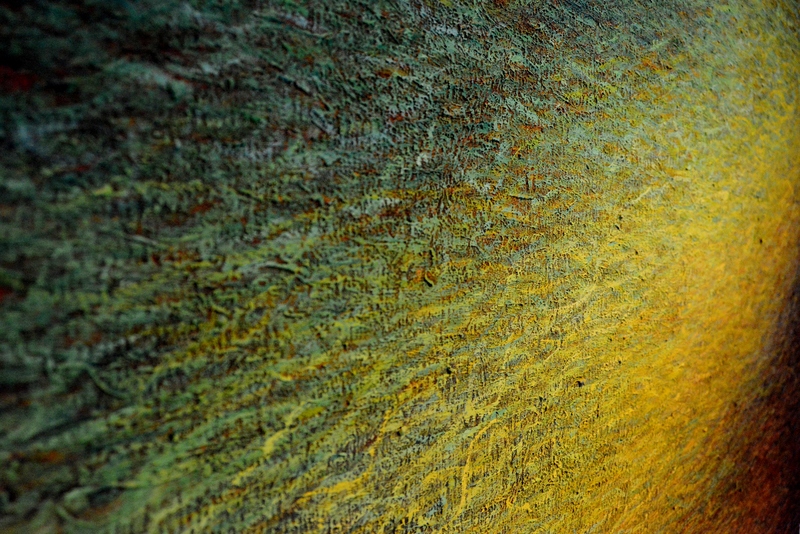 And as you get closer, the paintings vibrate with layer upon layer of color, the harmony rich and satisfying. 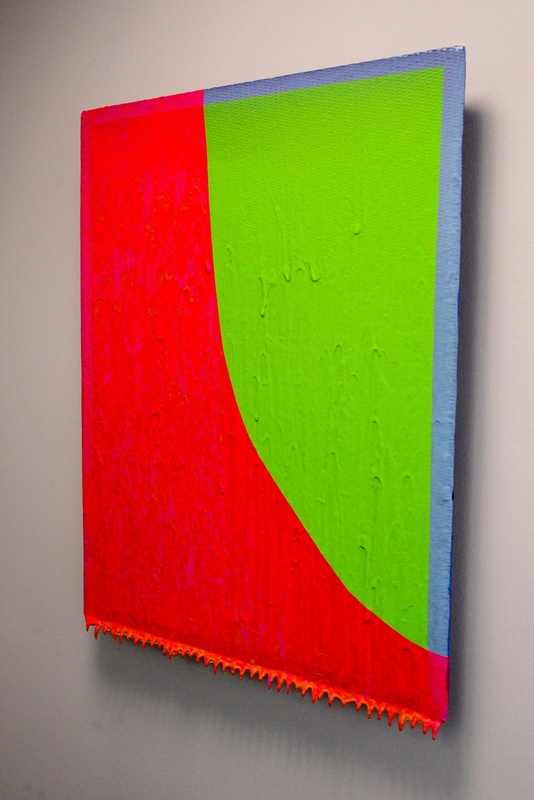 Joseph Cohen is a Houston-based artist with San Antonio connections — he achieved his MFA in painting at UTSA. 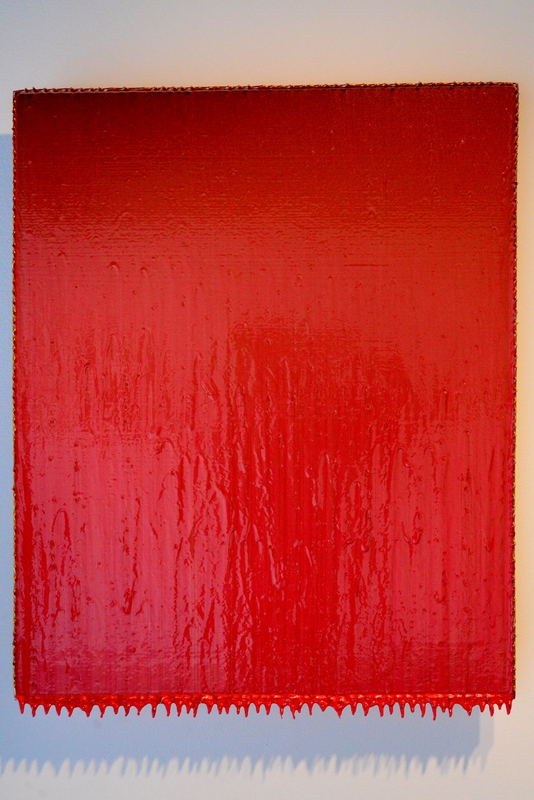 Each painting is of similar scale and construct, and the colored surface is created by applying hundreds of coats of paint that he individually mixes using gold, silver, platinum, and diamond dust, and a variety of pigments and oxides on birch board with edges cut at a 45° angle and standing off the wall. This combination of factors creates a surface that shifts chromatically depending on how you are viewing the piece and how it is lit. 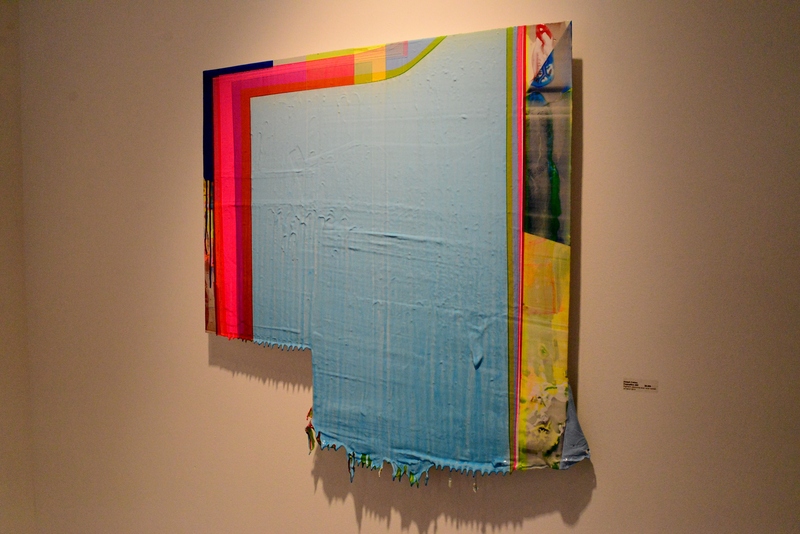 The paint drips off the beveled edges, in arrested motion, offering glimpses of the individual layers creating the whole. The piece is not only a visual meditation for the viewer, but also seems a physical and mental meditation for the artist. 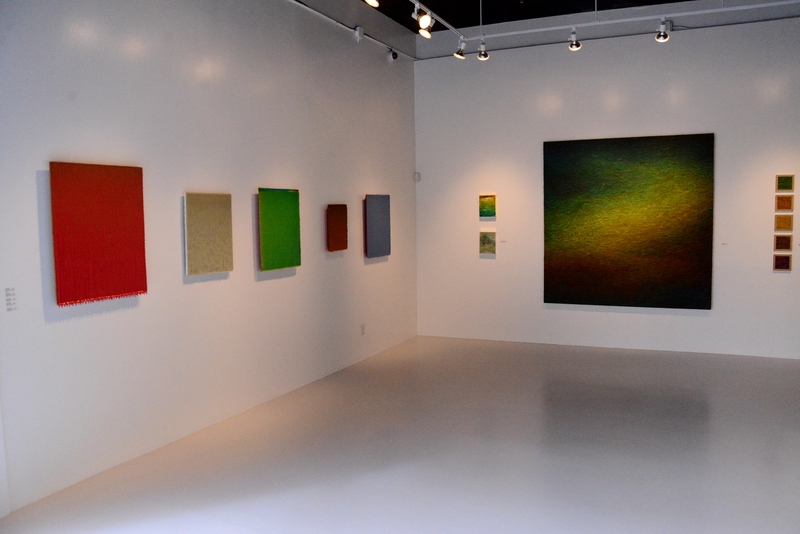 And we haven’t yet touched on Fodor’s “Kôan Boxes,” referring to a “paradoxical statement used in Zen Buddhism to provoke enlightenment and further questioning.” There are several of these at the gallery. According to an essay by Timothy Robert Rodgers, Ph.D (Chief Curator, New Mexico Museum of Art), they are “highly personal works not meant primarily for the gallery, museum or other art setting.” Most have apparently been made for family or close friends as an honorific. They are cigar boxes filled with human secrets. Materials such as gallery notices, or ticket stubs, or post cards — the detritus of life too precious to discard, but ultimately overwhelming to keep. Or sometimes they are simply empty. 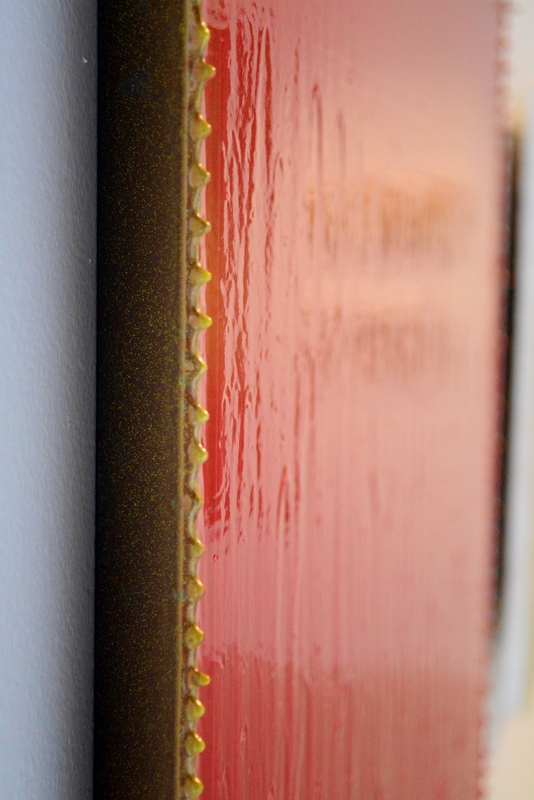 These boxes are placed beneath paintings in progress and randomly catch the drippings of the day in dribs and drabs over time, until the repositories are completely sealed with paint. Absolutely, intimately, archeological! Susan Oliver Heard is a gallerist keenly in touch with her artists. You feel that soul connection as she previews upcoming artists and concepts for 2014. We touch on her curating process a bit when she talks about “getting criticized for not showing enough women artists, or not enough San Antonio artists” or whatever the perceived slight of the moment might be. Believe me, as a gallery owner it can be a minefield. However, what is crystal clear is the very personal connections that are created when she brings an artist into the fold or puts together a concept show. Stay tuned because we are in for a great ride this year. Susan also talks about First Friday at The Blue Star Complex. “I love First Friday,” she proclaims. “Because many people are learning about art for the first time and I feel a responsibility to stay open and talk to people about it. Whether they are buying art or not, that connection is important.” Her desire to impart some of that passion is an important ingredient here. Art makes that human connection, sparks understanding, or for that matter questioning, conversation, controversy. So, please stop in before the show closes February 8th. 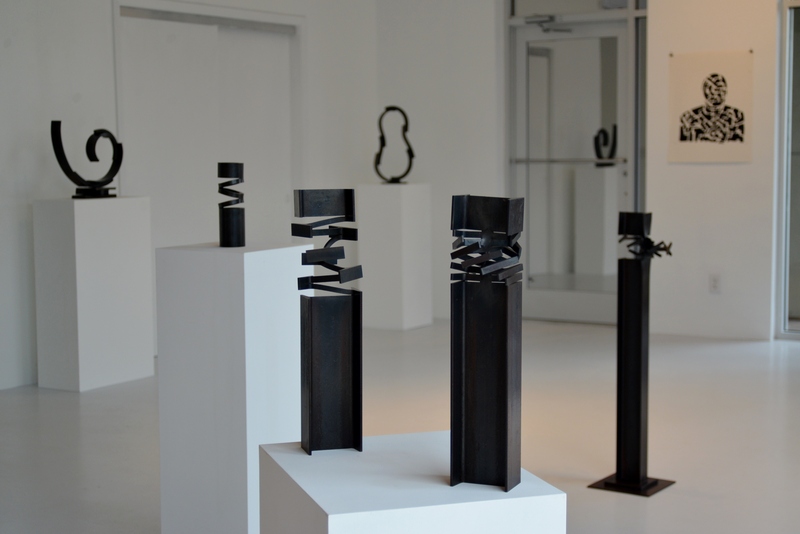 You will also have an opportunity to catch sculptor Bill Molthen‘s calligraphic cut and forged steel works (in residence since October) before they go away.